"To build a great relationship use trust as brick and patience as cement.Because sometimes love isn't enough. :) ". 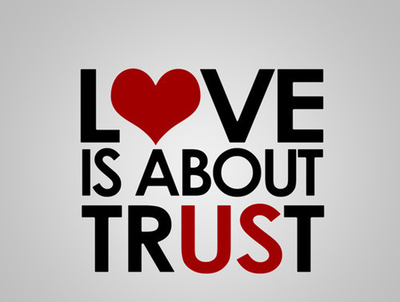 Trust is the cornerstone of any working, healthy relationship. Without trust, you don’t have a solid foundation and your relationship could end up crumbling. As you get to know someone and fall in love, trust has to be built. Here are some simple ways to do that. If you want your partner to be honest with you, you need to be honest with him –- that’s the only way you’re going to build trust in your relationship. This means being truthful about how you feel, rather than keeping your cards too close to your chest. Sharing intimate details about your life and who you are can bring you and your partner closer, setting the foundation for trust and intimacy. The more you share, the more your partner will share and the more you know about each other, and how you both feel, the closer you’ll become. Trusting someone can be hard, especially if you’ve been deceived in the past. But it's up to you to open yourself up to trusting someone else in spite of past heartache. This can be a difficult process so just go one day at a time and realize that even though one guy hurt you it doesn’t mean every male has a negative streak that’s just waiting to rear its ugly head. Being open to trust means being a little bit vulnerable, which can feel strange if you’ve been closed off to love since your last breakup. Remember: The more you allow yourself to trust the person you love, the stronger your relationship will be.